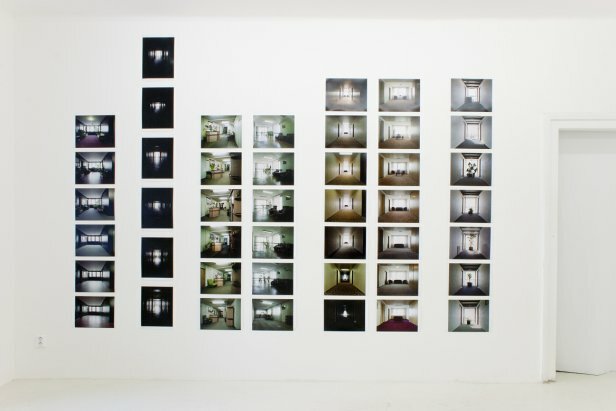 A photographer’s focus on one theme, and the thorough monitoring and typological examination of this theme, is characteristic for the first generation of conceptual photographers, including Bernd and Hilla Becher (the founders of the “Düsseldorf school of photography”) and Ed Ruscha with his photography books (the most frequently mentioned being Twentysix Gasoline Stations). 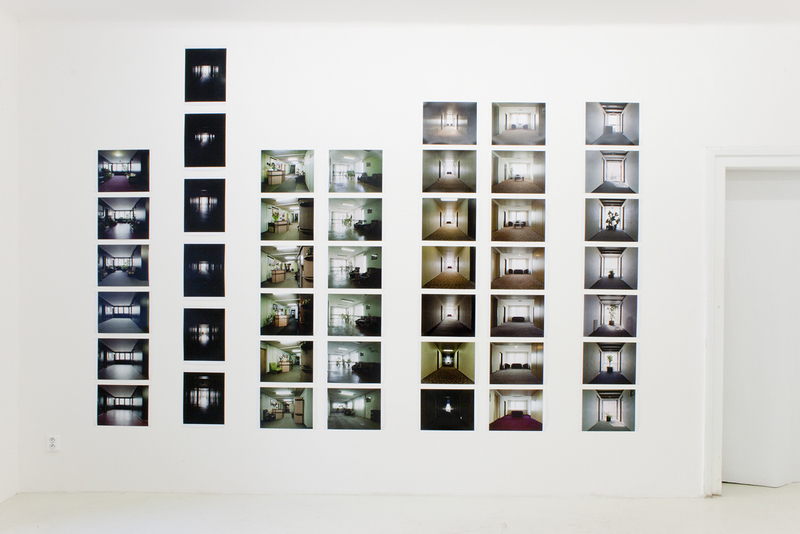 However, the next generations of photographers have continued the concept of extensive monothematic cycles, including both former students of the Bechers, such as Andreas Gursky, Candida Höfer, Axel Hütte, and Thomas Struth, as well as a number of others, for instance Josef Dabernig and his wide-format shots of sports stadiums, or our Czech duo of Lukáš Jasanský and Martin Polák, who, with a touch of added irony, observe the original intent of the radical deviation from artistic issues (which was in fact not so much of a deviation as it was a change) combined with an obsessive interest placed on tone. There are two principles acting in tandem in this sort of photographic creation: firstly, fascination (often of a significant aesthetic nature and not only contextual) with a certain type of object or phenomenon (not only in the beginning, but throughout the entire process), and, secondly, a certain degree of scientific processing methods. 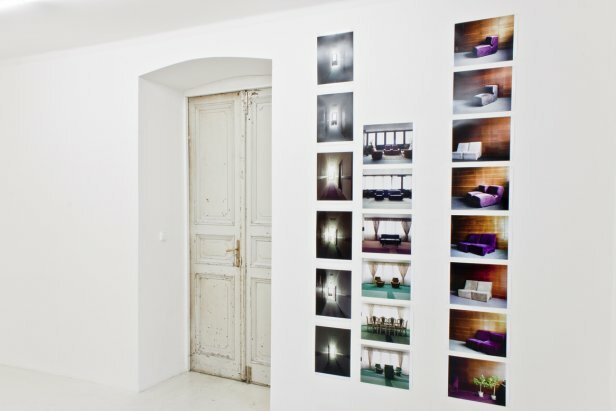 The act of documenting and a motivation to archive, explore, and collect are interconnected with pure photographic interests to portray an object or a phenomenon, using the “ideal” method for capturing it, the best composition, etc. Many times these two approaches may collide. For example, in the exhibited cycle Barter Trade (2010-2011) Petra Steinerová does not lay stress on thoroughly documenting hotel interiors, and her selected subject matter is only slightly subordinate to the real situation, which she does not want to forcefully manipulate using dogmatic rules. But if we want to tangibly describe the situation, we must return to the content of the series. Petra Steinerová was born in 1980. In 2005 she graduated from the Photography Department at FAMU, and chose her cyclical method of work at the very beginning of her career. 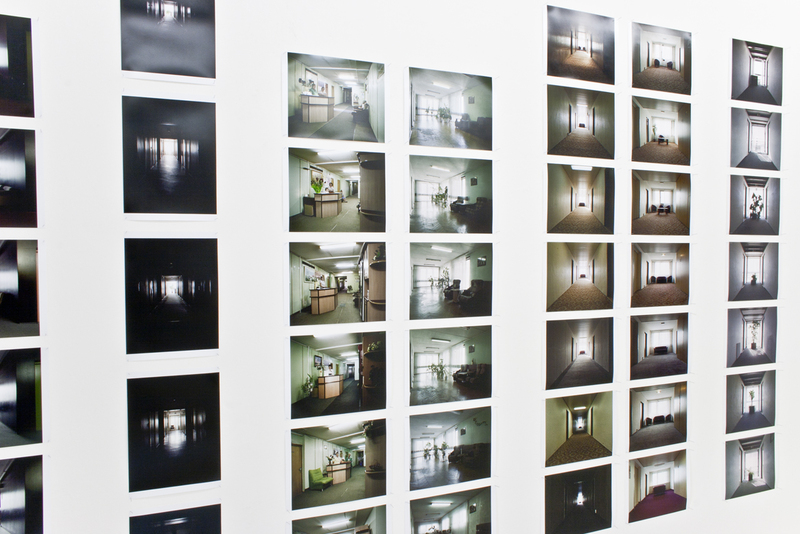 In her previous photographic series (of which I am mentioning only two), she came to terms with a family event – a change in her father’s sexual identity – and then in a documentary series she mapped recreational buildings, their impermanence, inventiveness, do-it-yourself nature, and even their social dimension as associated with the socialist atmosphere, specifically that of escaping to privacy or another sealed off (detached) society. Like these mentioned projects, the exhibition Barter Trade is the result of a longer-term objective and work, as well as – and in this case particularly – photography connected with travel. The artist, who is sensitive to social topics and the socialist past even at other times, became enthused by the absurdity of a semi-forgotten societal phenomenon of the socialist system: international co-operation and friendship, based overall on mirror images and reflections (at this point, should we really want to, we could seek a parallel with the principles of photography techniques). Every country, region, city, company, school, and even student had a mirror counterpart in their “twinned” equivalent. Of course, in the case of the Czech Republic, this form of twinning was most thorough, and quite often significantly forced, (as indicated by the exhibition title) with the Soviet Union. Hotels lie at the heart of social residency and form the essence of travel. The socialist twinned hotels not only provided accommodation for the proletarian excursions of that time, but quite possibly the main role they played was as a gathering place for the regime’s prominent representatives, later for black-market moneychangers, and, in short, anyone who was looking for an opportunity to enjoy a comfortable lifestyle and unrestricted entertainment. 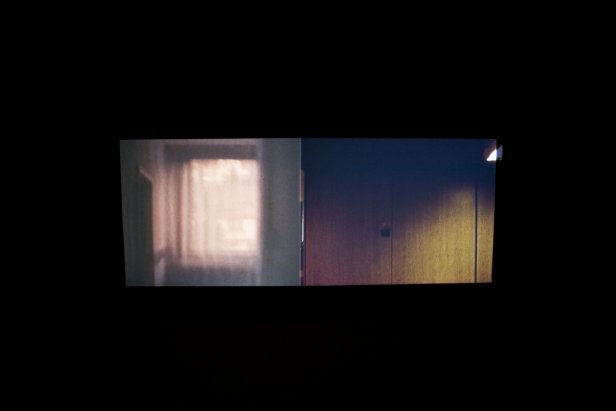 Petra Steinerová decided to capture the atmosphere found in this society, an atmosphere that was expected to find a new face after the transformation of the regime (a face that was no longer doubled), in motion. From the perspective of the reconstruction of the hotel image, this motion often occurred only to a degree that disrupted the original intactness of the interior design from the 1970s and 1980s. The atmosphere is greatly saved by abundant potted plants, and the ghost of materialist Marxism-Leninism continues to linger in the curtains. 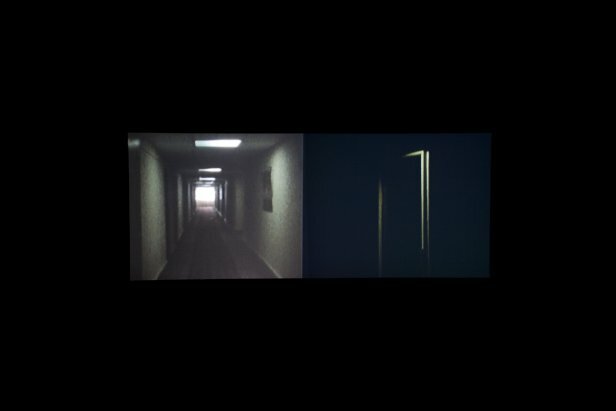 The artist sets up this anticipated motion, which never came to be in reality, with the help of the two directions in which she “scans” the building interiors horizontally and vertically. 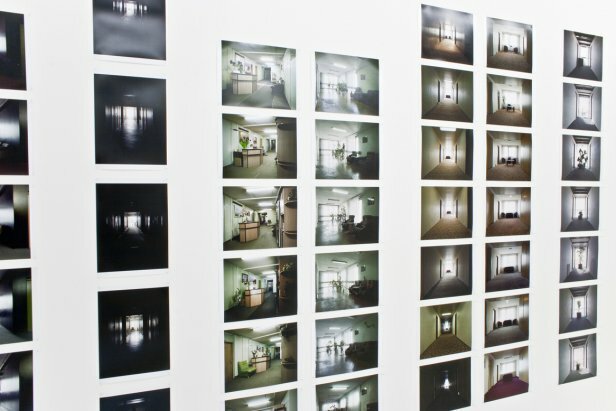 In her photographs she tracks the uniformity of the individual floors, she uses 8 mm film to travel through all of the corridors of a single floor, or to capture the view of each of the floors from the lift. If she was interested in maintaining a cool, documentary nature, her recorded material would remain untouched by editing or selection. 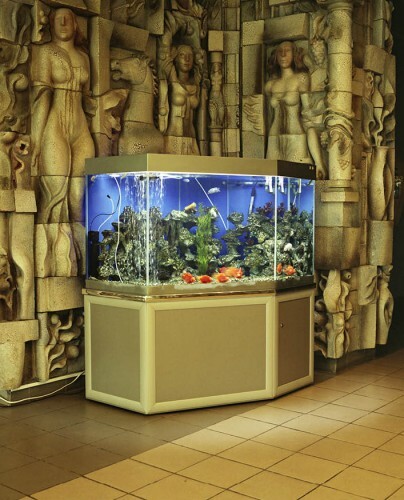 However, as I mentioned above, Petra Steinerová had her own personal objective when she chose these twinned hotels from the 1970s and 1980s: the Hotel Kiev in Bratislava – the Hotel Bratislava in Kiev, the Hotel Opava in Kamysihin – the Hotel Kamyshin in Opava, the Hotel Voronezh in Brno – the Hotel Brno in Voronezh, and others. She was interested in the static nature of the spaces, the uniformity of things with only minor deviations, the way in which function and contents are frozen at the halfway point, the atmosphere of linoleum and formica, which some consider to be a “non-space” and others as an adventurous part of the past – a past they may or may not have experienced. In between this synthetic objective and documentary analysis lies an intersection consisting of the artist’s final grasp of the theme and her presentation. The majority of these “ghost” buildings will never win the interest of those who love totalitarian architecture, unlike the case of the Ukrainian Hotel Druzhba, which is noteworthy thanks to its ring-shaped structure suspended on three towers (Czechoslovakian agricultural silos). For this reason, they will remain for a while longer as reservations preserving the past, remaining, for now, of interest only to artists and underprivileged travellers, until such time that reality and memory outlive the fragment they have become.